In the event of a submarine accident, one of the Navy’s two deep submergence rescue vehicles (DSRVs) could be deployed to rescue survivors anywhere in the world. DSRVs Mystic and Avalon provided rapid-response submarine rescue capability to the U.S. Navy from 1977 to 2008. Although now retired, they remain two of the most technologically advanced submersibles in the world. The sinking of the submarine USS Thresher in April 1963 revealed significant limitations in the Navy’s deep-sea capabilities. The Navy formed the Deep Submergence Systems Project in 1964 to develop a new rescue vehicle and expand its deep ocean abilities. The project produced two highly capable submersibles, Mystic (DSRV 1) and Avalon (DSRV 2), that launched in the early 1970s. Following extensive sea trials, they entered full operational status in 1977 and served as the Navy’s primary submarine rescue system through 2008. The DSRVs had to hover precisely in place, a difficult task given water currents and deep ocean pressure. Engineers developed a special smart-vehicle system — twice as complex as the one that guided Apollo 11’s 1969 moon landing — to control the thrusters and ballast system. 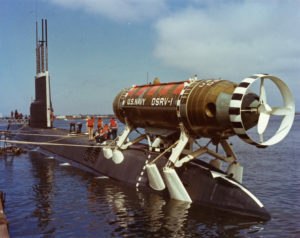 The smart system supplied such remarkable maneuverability that the DSRVs could maintain an underwater position with leeway of less than an inch. Inside each DSRV’s fiberglass hull, three connected spheres made of high-strength steel formed the pressure hull, which protected the crew and rescued personnel from extreme water pressure. The resilient vehicles could operate down to 5,000 feet, well beyond a submarine’s collapse depth. The DSRVs could deploy by sea, air, or land to reach a disabled submarine anywhere in the world within 72 hours. Once on site, a mother submarine or submarine rescue ship carried the DSRV within range of the distressed submarine. The DSRV then attached to the submarine’s escape hatch and transferred stranded personnel back to the support vessel in groups of 24. Although the Navy conducted numerous practice exercises with the DSRVs, they have never been used for a real rescue operation. 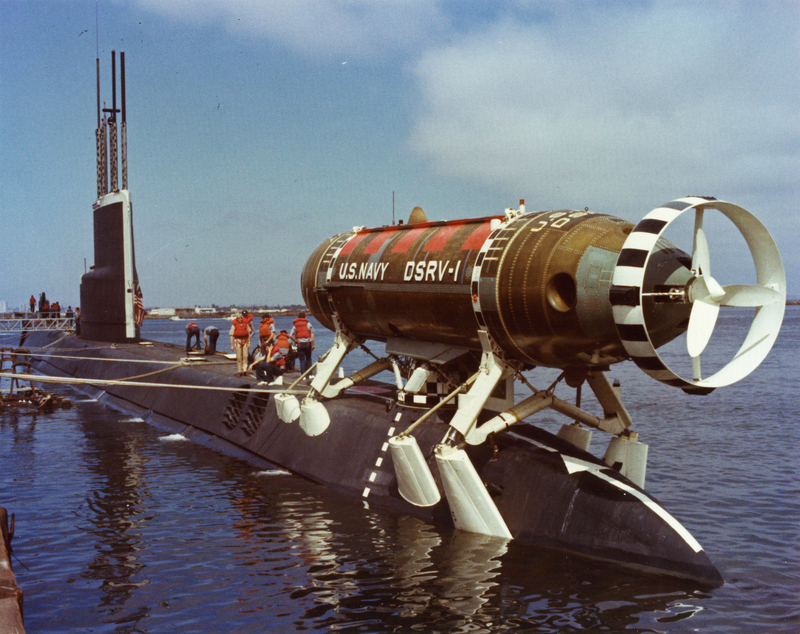 No American submarine has sunk since the DSRV program began.